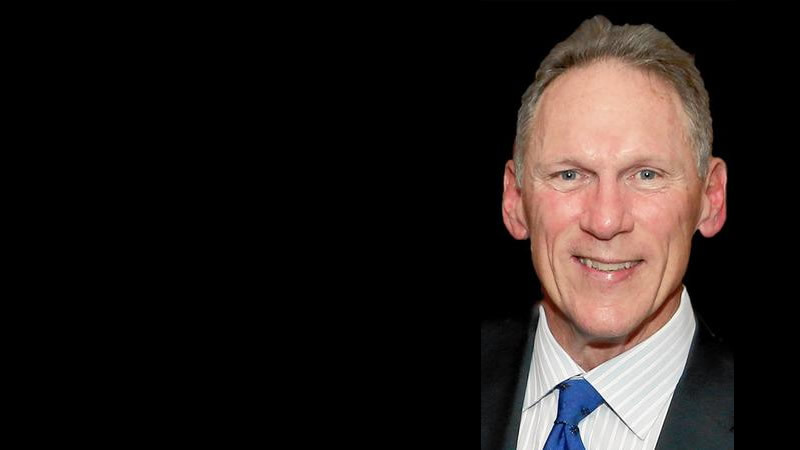 The world center for scholarship in Ayn Rand’s writings and advancement of her philosophy, Objectivism, recently announced that its board of directors unanimously voted to hire Jim Brown as chief executive officer. The Irvine, Calif.-based Ayn Rand Institute (ARI) referred in a statement to Brown’s “days as a campus activist at Harvard Business School”, long-term involvement with ARI as a consultant and contributor, a 30-year finance career, including his work as an investment firm partner, military service in the United States Air Force as a pilot, flight instructor, flight commander and squadron commander and experience as a cattle rancher. Brown, who holds a bachelor of science in political science from the United States Air Force Academy in Colorado Springs, Colo., and an MBA from Harvard Business School in Boston, Mass., recently and kindly agreed to an exclusive interview with me at his ARI office. The retired Chartered Financial Analyst (CFA) is a husband and father who has homes in Coronado, Calif. and on his ranch in Jackson, Wyoming. This is an edited transcript. Scott Holleran: In retrospect, was the Harvard activism successful? Jim Brown: [Laughing] Yes and no. There were seven or eight of us involved. I was the only one from Harvard. There were three others from MIT and a couple of others that drifted in and out. So, I would say it was not successful in huge quantity but probably in terms of long-term quality and penetration. In those days, you had to rent [Objectivist lecture audio] tapes and post and announce that you were going to offer a course. Harvard Business School was not exactly a bastion of capitalism. I was surprised they accepted me because, on my application, I wrote a ringing endorsement of capitalism as the greatest and most productive social system ever conceived. I was contacted and accepted right away. But there was one other Objectivist, an investment banker in New York and [he was] in my same section. There were eight or nine sections of 80 students each. We sat in a big lectern type arrangement and we had all kinds—socialists from Africa, a pragmatist from Peoria—so it was interesting and lively because these were intelligent people, mostly well-trained. These were CPAs, lawyers and economists, along with the rest of us run-of-the-mill people who had never had an accounting course. I attended Harvard Business School from 1976 to 1978. They were two of the most intense, fun and interesting years of my life. Scott Holleran: Was your military status held against you by fellow students and professors? Jim Brown: Not at all. They [may have] thought I was a little weird because I had short hair, didn’t smoke pot and I was a big workout guy. Scott Holleran: Does being ARI’s first non-academic chief executive differentiate your leadership? Jim Brown: I don’t know that being non-academic has much to do with it. I have had opportunities to learn how to work with people [in a way] that maybe an academic would not. Scott Holleran: Are you fully acquainted with ARI’s programs? Jim Brown: I’ve been here for three weeks, so it’s a little bit like trying to get a drink from a firehose at first. I have another analogy, too. Back in my last firm, right outside the cafeteria, there was a painting of a glass jar that was three-quarters full of water and there’s a turtle inside the glass jar and he’s swimming around with his nose barely above water. Sometimes, [it feels like that]. I’ve learned just about everyone’s names. There might be a few whose names I don’t yet know. It’s a matter of understanding what they do—they have their way of doing things—and it’s fairly self-sufficient. However, there is room for improvement. Scott Holleran: How can the Ayn Rand Institute improve? Jim Brown: We have to get the ideas out and we have challenges in that area—including resistance in the culture—[and] I don’t have to remind anyone reading this that the culture and society out there can look pretty irrational. Just look at the last election. But that’s not the biggest obstacle to our success. I think the biggest obstacle to our success is right here in the Objectivist movement. Sometimes, we can’t get out of our own way. So the room for improvement is what we can change about our movement. How can we make the movement more effective? I really believe strongly—and we are starting to develop this idea here at the Institute—that we need to develop a sense of community among Objectivists. Let me tell you what I mean by [the term] community. Simply a group of people, large or small, drawn together with shared values. Let me describe a community which I think is effective in experiencing their values here and now. I live in Coronado, California, which is a good example of this kind of community. It’s a beautiful little place on an island, which we share with the Navy. The Navy base has been there for over 100 years. It’s the home of the Navy SEALs. The values we share are patriotism and respect for the military. Our kids go to school with Navy kids. We have two big parades a year: Fourth of July and Christmas. It’s clean and safe and you cheer at the parades with people you don’t even know. It’s very open and accepting and, while we don’t always agree on everything, it’s very bound by common values that we can live and see [practiced] every day. On Memorial Day, there’s a memorial service right down the street from my house, and it’s very moving. So, it’s a great community that’s very close and people are proud of it. Lots of people want to live there. Think about that in terms of a nationwide or international Objectivist community. I don’t have to get very creative to think, well, we’re not going to be a town exactly, but we can sure be a community that shares so many things other than an abstract philosophy. We have a good basis. So, I think that disputes can be avoided. Disputes happen in business all the time and they are managed. There are compromises and agreement to disagree. People find a way to move on. I think this could have been done in a number of disputes that have split our community. I want to do my best to the extent I can to prevent, mediate, divert and resolve these disputes when and if they come up. This sense of community I’m talking about, when I think about this, can only begin here at the Ayn Rand Institute. If we are going to try to help foster and develop this, it has to start here. Scott Holleran: As ARI sought to gain stature and influence since its founding in 1985, supporters may have been reticent about criticizing certain service, programs and goals. What is your philosophy of receiving, gauging and addressing criticism? Jim Brown: Give it to me straight. Give me the good, the bad and the ugly. The way I see it, people look at non-profits as fundraising organizations. Obviously, we have to have funds to operate, but that is not what I think we are about. ARI is about providing value and growing that intellectual movement. That’s clear in our mission statement. We want to increase awareness, understanding and acceptance of the philosophy of Ayn Rand, Objectivism. That is what we are about. So, we have to give people something of value, probably over a period of years, before we can expect to have earned their support. Just like Say’s Law in economics, you have to produce before you can profit. That is what I think we’re doing: we’re investing in people’s minds, persuasion and in the influence of a philosophy that’s a gift to the world in my view. When we have done that, we can hope and expect that they will support us because we will have earned it. Scott Holleran: Do you have a favorite lecture by Ayn Rand? Jim Brown: I do because it’s the only one I ever saw in person. In 1977, I saw [Ayn Rand deliver her talk] “Global Balkanization” at the Ford Hall Forum [a lecture program at Northeastern University from 1961-1998] in Boston. I walked in and [former Federal Reserve Board Chairman] Alan Greenspan was sitting on the floor playing chess with someone in the foyer. By then, he’d been chairman of President Ford’s Council of Economic Advisers, so even then he was famous. Of course, when Ayn Rand came up—this little tiny woman with this heavy Russian accent—it was amazing. I’ve re-read that talk a few times. This is the essay in which she talks about classifying people according to ethnicity or arbitrary racial classifications and she systematically demolishes it as any type of rational thinking at all. The Q & A was interesting, too. She was so clear on what she wanted to say in answer to every question. Scott Holleran: How had you heard about Ayn Rand’s lecture at Ford Hall Forum? Jim Brown: Through the periodicals. The Ford Hall Forum was a very fair, professional forum populated by all kinds of interesting people, left, right—it was really a nice thing—and I was very impressed. I was hungry to learn. I knew nothing about business. I’d grown up in this Air Force family and gone right into the Air Force—Austin and San Antonio, Texas, were the closest I had to a home—and I’d read her novels and Capitalism: The Unknown Ideal and The Virtue of Selfishness. I’d been stationed in Italy, Greece and North Dakota, so it took weeks in those days for the Ayn Rand Letter to get to me in [places such as] Aviano, Italy. I think I still have them all. I basically read everything I could get my hands on. Scott Holleran: Which is your favorite non-fiction book by Ayn Rand? Jim Brown: Probably Capitalism: The Unknown Ideal. I recently started reading The Art of Non-Fiction. What a rich source of knowledge and inspiration. Scott Holleran: Which Ayn Rand book is the most effective in reaching the reader? Jim Brown: Atlas Shrugged. There are a lot of ways you could measure what’s most effective but the way I interpret your question is which Ayn Rand book has the biggest impact on the maximum number of people and it has to be Atlas Shrugged. Everyone’s talking about Atlas Shrugged. We especially saw this during the last financial crisis. Scott Holleran: What’s your favorite work by Ayn Rand Institute founder Leonard Peikoff? Jim Brown: For comprehensive understanding, Objectivism: The Philosophy of Ayn Rand. For sheer pleasure, [Dr. Peikoff’s audio lecture course] “Eight Great Plays”. I love it. For immediate impact on my life, Leonard Peikoff’s Objective Communication course is excellent. I still use “motivation – structure – concretize – delimit” everywhere I go. I’ve used it to instruct analysts that worked for me when I was in an investment partnership including how to keep [communication] essential, on point and readable so you’re not going down rabbit holes. I think people actually learn from it. I did. I even instruct my 17-year-old son who’s become a pretty good writer by those four points. He gets it. For such a short course, it [helps me to] be a better writer by keeping those four points—they are much more than points because he goes into great detail—in mind. Scott Holleran: Is there a single quality that you acquired while being a pilot, instructor or commander during your military aviation career which uniquely applies to your new role as CEO of the Ayn Rand Institute? Jim Brown: The first thing that comes to mind is an appreciation for working cooperatively and collaborating with people. If you have a big air crew, you can’t just be the boss and make commands. You’re in charge and you can’t just tell people what to do if you want to get some new programs done or you’re trying to move classes through administration to train 500 pilots a year. You have to give people responsibilities, have them commit to their responsibilities and [let them] own it. If you can get people to own their responsibilities, then reporting to you is a cooperative venture, not a command and control venture. I really learned that in spades as a flight commander and as a squadron commander when I was training pilots. Scott Holleran: What’s your role in developing OCON 2017? Jim Brown: I’m providing input. I’ll address the conference. I’ll do the state of ARI [presentation] and you can expect to hear me talk about the community. Scott Holleran: Have you ever visited Pittsburgh? Jim Brown: No. This will be my first trip. Scott Holleran: What is the Ayn Rand Institute’s greatest success in 32 years of advancing Objectivism? Jim Brown: Getting Ayn Rand’s books—specifically, her fiction—into people’s hands. Scott Holleran: Businessmen are depicted as villains—not just as heroes—in Atlas Shrugged. Can you name three businessmen who are like villains in today’s mixed economy? Jim Brown: If you look at [Ayn Rand’s] “The Money-Making Personality”, she talks about the moneymaking mentality and the moneymaker versus the money appropriator. [Ayn Rand] also states in there, pretty explicitly, that there’s often a combination and a mix. That’s the way I think of most of today’s businessmen. It’s difficult to evaluate in today’s mixed economy who’s the moneymaker and who’s the money appropriator. For example, I’d put [GE Chairman and CEO] Jeffrey Immelt as more of an appropriator though he’s undoubtedly a talented businessman. I’d put [Secretary of State and former ExxonMobil Chairman and CEO] Rex Tillerson along the lines of the moneymaker, besides obvious ones such as Steve Jobs, Bill Gates and probably Jeff Bezos. Scott Holleran: Besides Bernie Madoff, who’s on the James Taggart end of the spectrum? Jim Brown: Well, Bernie’s an outright criminal fraud, so he’s almost in another category. I’m characterizing this as people who sort of walk the line. I will tell you that Warren Buffet does not strike me as a great [business] hero. He is a great investor. But I’ve also seen a lot of pandering by Warren Buffet to the left. I have to wonder why. I don’t even understand the mentality of someone like George Soros. Soros is more like Robert Stadler. He’s brilliant. I don’t know what he’s doing. Scott Holleran: ARI’s first director, Michael Berliner, guided and established ARI and Yaron Brook remodeled ARI as a business-type structure. Are you considering fundamental changes in the organization hierarchy? Jim Brown: If you think about it, we have such a challenging mission because it’s broad: to increase awareness, influence and acceptance—it’s right on the website—of Ayn Rand’s’s philosophy, Objectivism. That is very broad. If you look at that and don’t pick and choose among your campaigns within that mission, you’re just going to get lost. So, I like that the mission allows us enough latitude to be creative and go where the need in the culture is while, on the other hand, it also requires us to be selective. Right now, we have an initiative in free speech. We’re starting an initiative in the morality of the financial industry. There will be a number of specific areas like this where we think there’s a good opportunity to make the philosophy well known. But we can’t do everything. I would like to foster more entrepreneurial activism by Objectivists. Look at the success of Alex Epstein and his book The Moral Case for Fossil Fuels. A gentleman from Germany got Capitalism: The Unknown Ideal translated into German—the first time that’s been done. There are other examples. I would like to expand this idea of entrepreneurial activism. Eventually, I would like to make that a major strategic objective. I’m optimistic that this can happen. Scott Holleran: How do you guard your leadership against Yes-men and sycophants in favor of people who might be more willing to tell you—and ARI—what they think you might not want to hear? Jim Brown: That’s a very good question. It’s a reason for collaboration. You only get sycophants if you’re an authoritarian because you can’t spot them if you’re an authoritarian. And that is deadly because they’ll do things that you’ll never understand. You’ll be undermined and not know it’s coming. But if I can sit down with all the [ARI] executives and observe them week after week and day after day, if they’re not collaborating, agreeing or disagreeing, and contributing to each other, they’re either not the kind of person I want here or they’re not being honest. We have to completely trust each other just like [players do] on a sports team; you have a job to do and you have to temporarily subordinate your opinions to [do] that job. The job in a management team is to work things out, make suggestions, coordinate so that everything works together. You don’t have to be close friends, but you do have to be close colleagues. You have to get to know each other so well that you’re not surprised when someone gets an offended look on their face—you go right to that and say “you’re looking offended, what is that? Why? What’s going on?” And then “if you need to take a break, take a break. Let’s work this out right now.” It’s almost like being a father in a family of teenagers; you’ve got to get everyone on the same page. If you’re an authoritarian, it won’t work. Scott Holleran: What is the most misunderstood part of Objectivism? Jim Brown: I think it’s this notion of Objectivists as righteously selfish people who are mean-spirited, unconcerned and unloving. Nothing could be further from the truth. Scott Holleran: How will you know you’ve succeeded at ARI? Jim Brown: The first successful milestone that I would really take pride in is when people say the ARI is a wonderful place to work. Scott Holleran: Are your wife and kids Objectivists? Jim Brown: Well, my wife and some of my kids. Others are deciding for themselves. Scott Holleran: What is your favorite part of cattle ranching? Jim Brown: The solitude. I can go there and get on a horse. [Pauses] Or just watch the deer out the window. It feels great.